Cabrera Services Inc., East Hartford, Conn., is being awarded a cost-plus-fixed-fee, multi-year contract with a maximum value of $450,000,000 for environmental remediation services at the Maywood Superfund site. Work will be performed in Maywood, N.J. Fiscal 2013 Procurement funds in the amount of $2,500 are being obligated on this award. The bid was solicited through the Internet, with eight bids received. The Army Corps of Engineers, Kansas City, Mo., is the contracting activity (W912DQ-13-D-3016). Exelis Systems Corp., Colorado Springs, Colo., is being awarded a cost-plus-fixed-fee contract with a maximum value of $127,150,517 for the operation, maintenance and defense of Army communications in Southwest Asia and Central Asia. Work will be performed in Kuwait, Afghanistan, Iraq and Qatar. Fiscal 2013 Operation and Maintenance funds in the amount of $30,000,000 are being obligated on this award. The bid was solicited through the Internet, with five bids received. The Army Contracting Command, Fort Huachuca, Ariz., is the contracting activity (W91RUS-13-C-0006). Goodrich Pump and Engine Control Systems, West Hartford, Conn., is being awarded a firm-fixed-price, multi-year contract with a maximum value of $47,957,667 for the procurement of a maximum of 1,500 fuel controls applicable to the CH-47 helicopter. Fiscal 2013 Procurement funds in the amount of $2,364,200 are being obligated on this award. One bid was solicited, with one bid received. The Army Contracting Command, Redstone Arsenal, Ala., is the contracting activity (W58RGZ-13-D-0126). Lockheed Martin Missiles and Fire Control, Grand Prairie, Texas, is being awarded a $32,140,168 modification (P00014), to a previously awarded cost-plus-incentive-fee contract (W31P4Q-12-C-0100), for the extension of recertification and repair services in support of the PATRIOT Advanced Capability-3 Missile Support Center program. The cumulative total face value of this contract is $91,045,833. Fiscal 2013 Operation and Maintenance funds are being obligated on this award. The Army Contracting Command, Redstone Arsenal, Ala., is the contracting activity. Northrop Grumman Information Technology Inc., McLean, Va., is being awarded a time-and-materials contract with a maximum amount of $24,597,416 for operation and maintenance services in support of Army Knowledge Online Enterprise Services. Work will be performed in Fort Belvoir, Va. Fiscal 2013 Operations and Maintenance funds are being obligated on this award. The bid was solicited through the Internet, with four bids received. The Army Contracting Command, Picatinny Arsenal, N.J., is the contracting activity (W15QKN-13-F-0017). Cubic Simulation Systems Inc., Orlando, Fla., is being awarded a $19,930,555 modification (P00002), to a previously award firm-fixed-price, foreign-military-sales (FMS) contract (W900KK-13-C-0010), for the procurement of Israeli Defense Forces Engagement Skills Trainer 2000 Plus Systems and related services. This FMS contract is in support of Israel. The cumulative total face value of this contract is $21,074,480. Fiscal 2013 Procurement funds are being obligated on this award. The Army Program Executive Office for Simulation, Training and Instrumentation, Orlando, Fla., is the contracting activity. Fidelity Technologies Corp., Reading, Penn., is being awarded a $16,036,446 modification (P00002), to a previously awarded firm-fixed-price contract (W56HZV-13-C-0052), for the procurement of Armor B-Kits. The cumulative total face value of this contract is $37,619,116. Fiscal 2012 Procurement funds are being obligated on this award. The Army Contracting Command, Warren, Mich., is the contracting activity. Mack Trucks, Inc., Greensboro, N.C., has been awarded a maximum $177,500,000 fixed-price with economic-price-adjustment/indefinite-delivery contract. This contract is to cover requirements generated that specifically call for trucks and trailers within the Mack product line. Locations of performance are Alabama, Pennsylvania, and North Carolina with an April 9, 2017 performance completion date. Using military services are Army, Navy, Air Force, Marine Corps, and federal civilian agencies. Type of appropriation is Fiscal 2013 through Fiscal 2017 Defense Working Capital funds. The contracting activity is the Defense Logistics Agency Troop Support, Philadelphia, Pa. (SPE8EC-13-D-0014). United Technologies Corp., East Hartford, Conn., has been awarded a maximum $16,558,616 firm-fixed-price, sole-source contract. This contract is for fan rotor supplies and replenishment parts. Location of performance is Connecticut with a June 30, 2014 performance completion date. Using military service is Air Force. Type of appropriation is Fiscal 2013 Defense Working Capital Funds. The contracting activity is the Defense Logistics Agency Aviation, Oklahoma City, Okla. (N00383-12-G-001M-UN40). Mustang Survival,* Elizabeth, W. Va., has been awarded a maximum $15,000,000 modification (P00008) exercising the third option year for life preservers. The contract (SPM8EH-09-D-0005) is a firm-fixed-price contract. Location of performance is West Virginia with a July 11, 2014 performance completion date. Using military service is Air Force. Type of appropriation is Fiscal 2013 Defense Working Capital funds. The contracting activity is the Defense Logistics Agency Troop Support, Philadelphia, Pa..
Sysco Central Florida, Ocoee, Fla., has been awarded a maximum $13,750,000 fixed-price with economic-price-adjustment, bridge contract. This contract is for prime vendor food and beverage support. Location of performance is Florida with a May 10, 2014 performance completion date. Using military services are Army, Navy, and Air Force. Type of appropriation is Fiscal 2013 through Fiscal 2014 Defense Working Capital funds. The contracting activity is the Defense Logistics Agency Troop Support, Philadelphia, Pa. (SPM300-13-D-3662). L-3 Communications Corp., San Carlos, Calif., is being awarded an $8,419,810 indefinite-delivery/indefinite-quantity contract to establish a depot for repair of the L8003 output traveling wave tube used in the AN/ALQ-99 (V) Band 4 pod on E/A-6B Prowler and E/A-18 Growler aircraft. Work will be performed in San Carlos, Calif., and is expected to be completed in April 2018. Funding in the amount of $1,873,881 will be obligated at time of award. Contract funds will not expire at the end of the current fiscal year. This contract was not competitively procured in accordance with FAR 6.302-1. The Naval Surface Warfare Center, Crane, Ind., is the contracting activity (N00164-13-D-WS59). General Electric Co., Lynn, Mass., is being awarded a $22,237,386 modification to a previously awarded firm-fixed-price contract (N00019-11-C-0045) to exercise an option for the procurement of six F414-GE-400 install engines for the EA-18 G aircraft. Work will be performed in Lynn, Mass. (59 percent); Hooksett, N.H. (18 percent); Rutland, Vt. (12 percent); and Madisonville, Ky. (11 percent), and is expected to be completed in March 2015. Contract funds in the amount of $22,237,386 will be obligated at time of award, none of which will expire at the end of the current fiscal year. The Naval Air Systems Command, Patuxent River, Md., is the contracting activity. The Boeing Co., St. Louis, is being awarded an $18,274,373 cost-plus-fixed-fee delivery order against a previously issued basic ordering agreement (N00019-11-G-0001) for supplies and services to support Follow-On Test and Evaluation of the F/A-18E/F and EA-18G aircraft. Work will be performed at the Naval Air Station, Patuxent River, Md. (78 percent); St. Louis, (21 percent); El Segundo, Calif. (.5 percent); and Bethpage, N.Y. (.5 percent), and is expected to be completed in February 2014. Contract funds in the amount of $18,274,373 will be obligated at time of award, none of which will expire at the end of the current fiscal year. The Naval Air Systems Command, Patuxent River, Md., is the contracting activity. Vericor Power Systems LLC, Alpharetta, Ga., is being awarded a $12,146,760 modification to previously awarded contract (N00024-12-C-4154) for the manufacture, testing and delivery of eight ETF40B marine gas turbine engines in support of the Landing Craft Air Cushion (LCAC) Service Life Extension Program (SLEP) as well as the repair/refurbishment of eight output group modules for LCAC engines. The SLEP will extend the service life of LCAC from 20 to 30 years; sustain/enhance craft capability; replace obsolete electronics; repair corrosion damage; reduce life cycle cost by improving reliability and maintainability; increase survivability; and establish a common configuration baseline. Work will be performed in Alpharetta, Ga. (90 percent), and Winnipeg, Manitoba (10 percent), and is expected to be completed by September 2014. Funding in the amount of $12,146,760 will be obligated at time of award. Contract funds will not expire at the end of the current fiscal year. The Naval Sea Systems Command, Washington, D.C., is the contracting activity. EFW, Inc., Fort Worth, Texas, is being awarded an $11,837,950 firm-fixed-price contract for the procurement of the Helmet Display Tracker Systems (HDTS) in support of the AH-1W helicopters. This contract includes the manufacture and delivery of 11 P-kits, 65 A-kits, 11 installations, and non-recurring engineering and program support. Work will be performed in Melbourne, Fla. (53 percent); Haifa, Israel (45 percent), and Fort Worth, Texas (2 percent), and is expected to be completed in January 2015. Contract funds in the amount of $11,837,950 are being obligated on this award, $1,197,296 of which will expire at the end of the current fiscal year. This contract was not competitively procured pursuant to 10 U.S.C. 2304(c)(1). The Naval Air Systems Command, Patuxent River, Md., is the contracting activity (N00019-13-C-0037). MultiMAC JV doing business as Southwestern Natural Resources* (N62473-13-D-4811), San Diego, Calif.; Noreas Inc.* (N62473-13-D-4812), Irvine, Calif.; Geomorph Information Systems, LLC* (N62473-13-D-4813), San Diego, Calif.; and Vernadero Group Inc.* (N62473-13-D-4814), Phoenix, Ariz., are each being awarded a firm-fixed-price, indefinite-delivery/indefinite-quantity, multiple-award contract for natural resource-related services at various Navy and Marine Corps and Department of Defense installations within the Naval Facilities Engineering Command (NAVFAC) Southwest area of responsibility (AOR). The work to be performed provides for performance based natural resource related services under North American Industry Classification System Code 541690. The services include but are not limited to surveying, inventorying, monitoring and mapping of natural resources, Geographic Information System mapping of natural resources, wetland wash management, educational/outreach services and other natural resource support. The maximum dollar value, including the base period and two option years, for all four contracts combined is $10,000,000. No task orders are being issued at this time. All work on this contract will be performed within the NAVFAC Southwest AOR which includes Calif. (92 percent), Ariz. (5 percent), and Nev., (3 percent). The term of the contract is not to exceed 36 months, with an expected completion date of May 2016. Contract funds in the amount of $12,000 are obligated on this award and will expire at the end of the current fiscal year. This contract was competitively procured via the Navy Electronic Commerce Online website with eight proposals received. These four contractors may compete for task orders under the terms and conditions of the awarded contract. The Naval Facilities Engineering Command, Southwest, San Diego, is the contracting activity. 3e Technologies International Inc., Rockville, Md., is being awarded a $9,861,065 modification to previously awarded contract (N00174-10-D-0021) to design, develop, implement, test, deliver and install a functional and efficient facilities critical infrastructure control and monitoring system to increase infrastructure readiness and optimize critical systems, including energy and other systems. This SBIR Phase III extension effort is to integrate the technologies and concepts established under previous Phase I, II and III tasks with new and more advanced technologies and concepts. Work will be performed in Rockville, Md., and is expected to be completed by May 2014. No funding will be obligated at time of award. Contract funds in the amount of $9,861,065 will expire at the end of the fiscal year. The Naval Surface Warfare Center, Indian Head, Md., is the contracting activity. Teras BBC Ocean Navigation Enterprise Houston, LLC, Bellaire, Texas, is being awarded a $9,847,700 firm-fixed-price contract with reimbursable elements, for the worldwide charter of one U.S. flagged, self-sustaining, non-cellular containership. The containership will be employed in worldwide cargo delivery to support the U.S. Department of Defense. Work will be performed at sea worldwide and is expected to be completed by May 2014. The total cumulative face value of the contract is $47,281,490. Funding in the amount of $3,507,400 is being awarded at time of contract. This contract was competitively procured via the Military Sealift Command, Navy Electronic Commerce Online and Federal Business Opportunities website with 50 plus proposals received. Military Sealift Command, Washington, DC is the contracting activity (N00033-11-C-5500). The Boeing Co., St. Louis, is being awarded a $6,890,324 modification to a previously awarded firm-fixed-price contract (N00019-09-C-0019) for the procurement of aircraft armament equipment for F/A-18E/F and EA-18G aircraft, including SUU-78A/A Pylons and well covers. Work will be performed in El Segundo, Calif. (85 percent); St. Louis, Mo. (9 percent); and Irvine, Calif. (6 percent), and is expected to be completed in January 2016. Contract funds in the amount of $6,890,324 are being obligated on this award, none of which will expire at the end of the current fiscal year. The Naval Air Systems Command, Patuxent River, Md., is the contracting activity. Information Innovators, Inc., Springfield, Va., has been awarded a $13,781,568 firm-fixed-price, incrementally-funded contract modification (P00011) to contract FA7037-11-F-0033 for non-personal services to provide support of the virtual Enterprise IT Service Desk supporting NIPRnet and SIPRnet with several locations. The total cumulative face value of the contract is $82,779,491. Work will be performed in Texas, Hawaii and Alabama and is expected to be completed by Nov. 15, 2013. Fiscal 2013 in the amount of $7,500,538 are being obligated at award. Air Force Intelligence, Surveillance, and Reconnaissance Agency/A7K is the contracting activity. Boeing Co., Defense, Space and Security, Kent, Wash., has being awarded an $8,481,422 delivery order (0097) to a previously-awarded indefinite-delivery/indefinite-quantitycost-plus-fixed- fee contract (F19628-01-D-0016) for Japan AWACS mission computing upgrade (MCU)/electronic support measures requirements planning program. The contract delivery order provides a program risk assessment, export licensing planning, modeling and simulation analyses, trade studies, conduct of a MCU demonstration, diminished manufacturing sources monitoring, planning, and sustainment support planning on behalf of the Japan Air Self Defense Force. Foreign Military Sales appropriation in the amount $8,481,422 are being obligated at time of award. Work will be performed at Kent, and is expected to be completed by Dec. 31, 2014. This contract involves Foreign Military Sales. Air Force Life Cycle Management Center/HBSK, Hanscom Air Force Base, Mass., is the contracting activity. BAE Systems, Rockville, Md. (N65236-13-D-4895); Booz Allen Hamilton, McLean, Va. (N65236-13-D-4896); CACI Inc., Federal, Chantilly, Va. (N65236-13-D-4897); CGI Federal, Inc., Fairfax, Va. (N65236-13-D-4898); Computer Sciences Corp., Falls Church, Va. (N65236-13-D-4899); Deloitte Consulting, LLP, Alexandria, Va. (N65236-13-D-4900); General Dynamics One Source, Fairfax, Va. (N65236-13-D-4901); HP Enterprise Services, LLC, Herndon, Va. (N65236-13-D-4902); Engility Corp., Mount Laurel, N.J. (N65236-13-D-4903); Lockheed Martin Information Systems &Global Solutions, Herndon, Va. (N65236-13-D-4904); MC Dean, Inc., Dulles, Va. (N65236-13-D-4905); SAIC, Inc., McLean, Va. (N65236-13-D-4906); Scientific Research Corp., Atlanta, Ga. (N65236-13-D-4907); Secure Mission Solutions, LLC, Washington D.C. (N65236-13-D-4908); and URS Federal Services, Inc., Germantown, Md. (N65236-13-D-4909) are each being awarded an indefinite-delivery/indefinite-quantity, cost-plus-fixed-fee, with provisions for fixed-price-incentive (firm target) and firm-fixed-price task orders, performance based contract. The contracts are for the procurement of business and force support services including the entire spectrum of non-inherently governmental services and solutions (equipment and services) associated with the full system lifecycle support including research, development, test, evaluation, production and fielding of sustainable, secure, survivable, and interoperable command, control, communication, computers, combat systems, intelligence, surveillance, reconnaissance, information operations, enterprise information services and space capabilities. The cumulative, estimated value (ceiling) of the base year is $179,908,000. These contracts include options, which if exercised, would bring the cumulative value (ceiling) of these contracts to an estimated $899,543,000. Work will be performed worldwide. Work is expected to be completed by May 2014. If all options are exercised, work could continue until May 2018. SPAWAR Systems Center Atlantic Navy Working Capital funds in the amount of $25,000 will be obligated at the time of award as the minimum guarantee and will be split among the 15 awardees; these funds will not expire at the end of the current fiscal year. This contract action merely establishes a potential ceiling value and does not obligate the Navy to fund to the ceiling. Funds are obligated on individual task orders for efforts that fall within the core competency areas. The multiple award contracts were competitively procured by full and open competition via the Space and Naval Warfare Systems Center e-Commerce Central website and the Federal Business Opportunities website, with 19 offers received. Space and Naval Warfare Systems Center Atlantic, Charleston, S.C., is the contracting activity. Wyle Laboratories, Huntsville, Ala. (N00189-13-D-Z023); Delta Resources, Alexandria, Va. (N00189-13-D-Z024); and National Technologies Associates, Inc., Alexandria, Va. (N00189-13-D-Z022) are each being awarded a cost-plus-fixed-fee, indefinite-delivery/indefinite-quantity multiple award contract to provide professional, technical and administrative support services for the Office of the Chief of Naval Operations, Air Warfare Division (N98) in the planning, resourcing and execution of naval aviation programs, readiness and manpower to the United States Navy. Wyle Laboratories is being awarded $29,158,582. If options are exercised, the total aggregate value will be $59,038,129. Delta Resources is being awarded $23,487,421. If options are exercised, the total aggregate value will be $48,057,539. National Technologies Associates, Inc., is being awarded $22,243,875. If options are exercised, the total aggregate value will be $59,038,129. The three contractors receive a combined minimum of $199,998 at the time of award. These three contractors will compete for the task orders under the terms and conditions of the awarded contract. Funding will be provided at the task order level. Work will be performed in Washington, D.C., and is expected to be completed by April 31, 2016, and if all options are exercised, work will continue through April 2019. Fiscal 2013 Navy Operations and Maintenance funds in the amount $1,648,609 will expire before the end of the current fiscal year. The requirement was solicited electronically through Federal Business Opportunities website, with 11 offers received in response to this solicitation. The NAVSUP Fleet Logistics Center Norfolk, Contracting Dept., Philadelphia Office, Philadelphia, Pa., is the contracting activity. The Boeing Co., Mesa, Ariz., was awarded a $26,067,485 modification (P00007), to a previously awarded firm-fixed-price, foreign military sales (FMS) contract W58RGZ-12-C-0089, for training and support of the Apache Block III helicopter program. This FMS contract is in support of Saudi Arabia. The cumulative total face value of this contract is $216,229,550. Fiscal 2013 Procurement funds are being obligated on this award. The Army Contracting Command, Redstone Arsenal, Ala., is the contracting activity. Choctaw Manufacturing Defense Contractors, Antlers, Okla., was awarded a firm-fixed-price contract with a maximum value of $16,509,000 for the procurement of a maximum of 700,000 150mm wood boxes. Fiscal 2012 and Fiscal 2013 procurement funds are being obligated on this award. The bid was solicited through the Internet, with two bids received. The Army Contracting Command, Rock Island, Ill., is the contracting activity (W52P1J-13-D-0049). NexGen Communications, Dulles, Va., was awarded a $14,688,914 modification (0007), to a previously awarded cost-plus-fixed-fee contract (W911QX-10-D-0005), for research and development services. Performance location and type of appropriation will be determined with each order. The Army Contracting Command, Adelphi, Md., is the contracting activity. Sikorsky Aircraft Corp., Stratford, Conn., was awarded an $11,377,277 modification (P00055), to a previously awarded firm-fixed-price, foreign-military-sales contract (W58RGZ-12-C-0008), to procure one UH-60M aircraft and related equipment. This FMS contract is in support of Thailand. The cumulative total face value of this contract is $4,819,188,496. Fiscal 2013 Procurement funds are being obligated on this award. The Army Contracting Command, Redstone Arsenal, Ala., is the contracting activity. Orion Marine Construction Inc., Tampa, Fla., was awarded a firm-fixed-price contract with a maximum value of $8,927,250 for dredging services. Work will be performed in La Port, Texas. Fiscal 2013 Operations and Maintenance funds are being obligated on the award. Four bids were solicited, with four bids received. The Army Corps of Engineers, Galveston, Texas, is the contracting activity (W9126G-13-C-0023). Alatec Inc., Huntsville, Ala., was awarded a firm-fixed-price contract with a maximum value of $7,538,713 to provide analytical capabilities, planning, modeling and other support services. Performance location and type of appropriation will be determined with each order. The bid was solicited through the Internet, with four bids received. The Army Contracting Command, White Sands Missile Range, N.M., is the contracting activity (W9124Q-13-D-0003). Tygart Technology Inc., Fairmont, W.Va., was awarded a cost-plus-fixed-fee contract with a maximum value of $7,411,857 for research and development services. Fiscal 2013 Research, Development, Testing and Evaluation funds are being obligated on this award. The bid was solicited through the Internet, with two bids received. The Army Contracting Command, Aberdeen Proving Ground, Md., is the contracting activity (W15P7T-13-C-A201). CACI-ISS Inc., Chantilly, Va., was awarded a firm-fixed-price contract with a maximum value of $6,505,452 to provide management services to the Air Force Expeditionary Contingency Medical Materiel. Performance location and type of appropriation will be determined with each order. One bid was solicited, with one bid received. The Army Medical Command, Fort Sam Houston, Texas, is the contracting activity (W81K04-13-D-0031). Kiewit Infrastructure West Co., Fairfield, Calif., was awarded a firm-fixed-priced contract with a maximum value of $255,525,030 for dam modification services. Work will be performed in Folsom, Calif. Fiscal 2013 Procurement funds are being obligated on this award. The bid was solicited through the Internet, with six bids received. The Army Corps of Engineers, Sacramento, Calif., is the contracting activity (W91238-13-C-0005). General Atomics Aeronautical Systems Inc., Poway, Calif., was awarded a $110,261,703 modification (P00032), to a previously awarded cost-plus-incentive-fee contract W58RGZ-12-C-0075, for Gray Eagle Unmanned Aircraft Systems product support and fleet sustainment operations. The total cumulative face value of this contract is $354,683,431. Work will be performed in Afghanistan. Fiscal 2013 Operations and Maintenance and other Procurement funds are being obligated on this award. The Army Contracting Command, Redstone Arsenal, Ala., is the contracting activity. M.A. Mortenson Co., Minneapolis, Minn., was awarded a firm-fixed-price contract with a maximum value of $94,876,000 for the construction of barracks on Fort Carson, Colo. Fiscal 2012 Military Construction contract funds are being obligated on this award. The bid was solicited through the Internet, with 14 bids received. The Army Corps of Engineers, Omaha, Neb., is the contracting activity (W9128F-13-C-0005). Eaton Aerospace, Jackson, Miss., was awarded a $25,021,735 modification (0002), to previously awarded firm-fixed-price contract W58RGZ-13-D-0060, for the procurement of hydraulic parts in support of the CH-47. Fiscal 2013 Procurement funds are being obligated on this award. The Army Contracting Command, Redstone Arsenal, Ala., is the contracting activity. L-3 Communication Corp., Muskegon, Mich., was awarded a $21,958,353 modification (P00086), to previously award firm-fixed-price contract W56HZV-09-C-0098, for the procurement of Hydromechanical Power Train 500-3ECB transmissions. The total cumulative face value of this contract is $190,395,688. Fiscal 2013 Procurement Contract funds are being obligated on this award. The Army Contracting Command, Warren, Mich., is the contracting activity. Pocal Industries Inc., Scranton, Penn., was awarded a firm-fixed-price contract with a maximum value of $20,935,246 for the procurement of various point detonating practice fuzes to support the load facilities for mortar cartridge ammunition. Fiscal 2013 Procurement funds are being obligated on this award. The bid was solicited through the Internet, with three bids received. The Army Contracting Command, Picatinny Arsenal, N.J., is the contracting activity (W15QKN-13-D-0051). Fordice Construction Co., Vicksburg, Miss., was awarded a firm-fixed-price contract with a maximum value of $13,081,750 for construction services at St. Francisville, La. Fiscal 2013 Procurement funds are being obligated on this award. The bid was solicited through the Internet, with two bids received. The Army Corps of Engineers, New Orleans, La., is the contracting activity (W912P8-13-C-0022). Aliron International, Inc.*, Bethesda, Md. (N62645-13-D-5022); The Arora Group, Inc.*, Gaithersburg, Md. (N62645-13-D-5023); Donald L. Mooney, LLC doing business as Nurses Etc. Staffing*, San Antonio, Texas (N62645-13-D-5024); Federal Staffing Resources, LLC*, Annapolis, Md. (N62645-13-D-5025); International Healthcare Staffing Alliance*, Honolulu, Hawaii (N62645-13-D-5026); and Medtrust, LLC*, San Antonio, Texas (N62645-13-D-5027) are each being awarded a 60-month, firm-fixed-priced, indefinite-delivery/indefinite-quantity, multiple award, task order contract for various medical services that include the labor categories of physicians, allied health, advanced practice nurses, nursing, technologists, technicians, and assistants. The aggregate not-to-exceed amount for these multiple award contracts combined is $387,038,480. These six contractors will have the opportunity to bid on each individual task order. Work will be performed at Naval Hospital Camp Lejeune, N.C. (75 percent); Naval Hospital Beaufort, S.C. (10 percent); Naval Health Clinic, Cherry Point, N.C. (8 percent); Naval Hospital, Charleston, S.C. (5 percent); and all surrounding branch clinics (2 percent) in the Carolina region of the United States, and work is expected to be completed by July 31, 2018. Fiscal 2013 Defense Health Program funds in the aggregate amount of $150,000 will be obligated at the time of award, and the funds will expire at the end of the current fiscal year. Funding is predominantly from the Defense Health Program; however, other funding initiatives such as Psychological Health/Traumatic Brain Injury, Overseas Contingency Operations and Wounded, Ill, and Injured may be used. These are all one-year funding types. These contracts were solicited via a multiple award electronic request for proposals as a 100 percent small business set-aside; 44 offers were received. The Naval Medical Logistics Command, Fort Detrick, Md., is the contracting activity. Ultra Electronics, Austin, Texas is being awarded a $15,364,212 indefinite-delivery/indefinite-quantity, firm-fixed-price, performance based contract for the procurement of engineering and technical services to support Air Defense Systems Integrator systems, communication systems, and satellite communication systems. This contract includes options which, if exercised, would bring the cumulative value of the contract to an estimated $44,486,000. This contract action establishes a potential ceiling value and does not obligate the Navy to fund to the ceiling. Navy Working Capital funds in the amount of $220,000 will be obligated at the time of award. Work will be performed in Austin, Texas (70 percent); outside the continental U.S. (12 percent); Norfolk, Va. (9 percent); and San Diego, Calif. (9 percent), and work is expected to be completed by May 2014. If all options are exercised, work could continue until May 2016. Contract funds will not expire at the end of the current fiscal year. This contract was not competitively procured because it is a sole source acquisition negotiated under 10 U.S.C. 2304(c)(1). Space and Naval Warfare Systems Center Command Atlantic, Charleston, S.C., is the contracting activity (N65236-13-D-7003). The Boeing Co., Seattle, Wash., is being awarded a $14,659,507 modification (P00076) to a previously awarded firm-fixed-price contract N00019-09-C-0022 for interim contractor support for the P-8A aircraftto include in service support, acquisition logistics support, consumables replenishment, repair of repairables, aircraft on ground, and engine remove and replace. Work will be performed in Dallas, Texas (56 percent) and Seattle, Wash. (44 percent); and is expected to be completed in November 2013. Fiscal 2012 and 2013 Aircraft Procurement NavyContract funds in the amount of $14,659,507 are being obligated at time of award, none of which will expire at the end of the current fiscal year. The Naval Air System Command, Patuxent River, Md., is the contracting activity. Honeywell International Inc., Tempe, Ariz., has been awarded a maximum $165,133,799 modification (P00435) extending the three year base contract SPE740-01-D-9711 with three three-year option periods for an additional eighteen months for consumable and depot level reparable spare parts that support multiple weapons systems. The contract is a firm-fixed-price, indefinite-delivery requirements contract. Location of performance is Arizona with a Nov. 6, 2014 performance completion date. Using military services are Army, Navy, Air Force, and Marine Corps. Type of appropriation is Fiscal 2013 through Fiscal 2014 Defense Working Capital funds. The contracting activity is the Defense Logistics Agency Aviation, Richmond, Va.
Tullahoma Industries, LLC,* Tullahoma, Tenn., has been awarded a maximum $59,389,738 firm-fixed-price, indefinite-delivery/indefinite-quantity contract for three types of Permethrin Army Combat Uniform trousers. Locations of performance are Tennessee and Alabama with a May 6, 2014 performance completion date. Using military service is Army. Type of appropriation is Fiscal 2013 through Fiscal 2014 Defense Working Capital funds. The contracting activity is the Defense Logistics Agency Troop Support, Philadelphia, Pa. (SPM1C1-13-D-1050). Pazos Fuel Services, Inc.,** San Juan, Puerto Rico, has been awarded a maximum $18,865,784 fixed-price with economic-price-adjustment contract for an into-plane requirement for jet fuel. Location of performance is Puerto Rico with a March 31, 2017 performance completion date. Using military services are Army, Navy, Air Force, and Marine Corps. Type of appropriation is fiscal year 2013 through fiscal year 2017 Defense Working Capital Funds. The contracting activity is the Defense Logistics Agency Energy, Fort Belvoir, Va.; (SP0600-13-D-0075). Weinbrenner Shoe Co., Inc.,* Merrill, Wis., has been awarded a maximum $13,452,923 modification (P00003) exercising the first option year of contract SPM1C1-12-D-1040 with four one-year option periods for hot weather, steel toe boots. The contract is a firm-fixed-price contract. Location of performance is Wisconsin with an Aug. 6, 2014 performance completion date. Using military services are Army, and Air Force. Type of appropriation is Fiscal 2013 through Fiscal 2014 Defense Working Capital funds. The contracting activity is the Defense Logistics Agency Troop Support, Philadelphia, Pa.
Northrop Grumman Space and Missile Systems Corp., San Diego, Calif., was awarded a $89,425,943 cost-plus-fixed-fee contract modification (P00076) to FA8726-09-C-0010. This modification extends the operation and logistics support for Battlefield Airborne Communications Node (BACN) payloads, and the contractor shall provide all labor, resources, equipment other direct costs, and travel of contractor personnel for deployment support and operation of the fielded BACN equipped systems. Work will be performed at San Diego, Calif., and OCONUS at locations where currently deployed, and is expected to be completed by June 22, 2014. Fiscal 2013 Operations and Maintenance funds in the amount of $7,500,000 are being obligated at time of award. Air Force Life Cycle Management Center/HNAK, Hanscom Air Force Base, Mass., is the contracting activity. Huntington Ingalls Inc., Newport News, Va., is being awarded a $60,800,000 modification to previously awarded contract (N00024-09-C-2116) in order to provide the ability to procure additional long lead material for CVN 79 if required. The current contract has been in place since 2009. This contract will provide all services and material in preparation for construction of CVN 79 including necessary research studies; engineering; design; related development efforts; advance planning; advance procurement for detail design and procurement of long lead material; advance construction; life cycle support; logistics data and other data. Work will be performed in Newport News, Va., and is expected to be complete by October 2015. Additional funding is not being obligated at this time. Contract funds will not expire at the end of the current fiscal year. The Naval Sea Systems Command, Washington Navy Yard, Washington, D.C., is the contracting activity. General Electric Co., Lynn, Mass., is being awarded a $45,156,940 modification to a previously awarded firm-fixed-price contract (N00019-11-C-0045) to exercise an option for the procurement of seven F414-GE-400 spare engines for the F/A-18E/F aircraft. In addition, this modification provides for the procurement of one fan module; 13 high pressure compressor modules; 9 high pressure turbine modules, and 8 low pressure turbine modules. Work will be performed in Lynn, Mass. (59 percent); Hooksett, N.H. (18 percent); Rutland, Vt. (12 percent); and Madisonville, Ky. (11 percent), and is expected to be completed in November 2015. Fiscal 2013 Aircraft Procurement Navy funds in the amount of $45,156,940 will be obligated at time of award, none of which will expire at the end of the current fiscal year. The Naval Air Systems Command, Patuxent River, Md., is the contracting activity. Booz Allen Hamilton Engineering Services, LLC, Annapolis, Md., is being awarded a $30,864,036 indefinite-delivery/indefinite-quantity, cost-plus-fixed-fee, multiple-award contract for support of emerging navigation technologies for air and shipboard command, control, communications, computers, intelligence, surveillance, reconnaissance system applications. The contract includes project management, systems engineering, integration, requirements analysis, basic research, development, testing, and life-cycle sustainment of both software and hardware related to emerging and existing technologies. This is a multiple award and one of two contracts awarded; both awardees will compete for task orders during the ordering period. This three-year contract includes one two-year option which, if exercised, would bring the potential, cumulative value of this contract to an estimated $52,711,864. Work will be performed in Annapolis, Md. (80 percent); San Diego, Calif. (10 percent); and Los Angeles, Calif. (10 percent), and work is expected to be completed on May 5, 2016. Contract funds will not expire at the end of the current fiscal year. Fiscal 2013 Research, Development, Test and Evaluation funds will be obligated against individual task orders as they are issued. This contract was competitively procured via full and open solicitation and published on the Federal Business Opportunities website and the SPAWAR e-Commerce Central website, with two proposals received and recommended for award. The Space and Naval Warfare Systems Center Pacific, San Diego, Calif., is the contracting activity (N66001-13-D-0106). Coherent Technical Services, Inc.,* Lexington Park, Md., is being awarded a $29,057,148 indefinite-delivery/indefinite-quantity, cost-plus-fixed-fee multiple award contract for support of emerging navigation technologies for air and shipboard command, control, communications, computers, intelligence, surveillance, reconnaissance system applications. The contract includes project management, systems engineering, integration, requirements analysis, basic research, development, testing, and life-cycle sustainment of both software and hardware directly related to emerging and existing technologies. This is a multiple award and one of two contracts awarded; both awardees will compete for task orders during the ordering period. This three-year contract includes one two-year option which, if exercised, would bring the potential, cumulative value of this contract to an estimated $49,528,498. Work will be performed in Lexington Park, Md. (80 percent); San Diego, Calif. (10 percent), and Los Angeles, Calif. (10 percent), and work is expected to be completed May 5, 2016. Contract funds will not expire at the end of the current fiscal year. Fiscal 2013 Research, Development, Test and Evaluation funds will be obligated against individual task orders as they are issued. This contract was competitively procured via full and open solicitation and published on the Federal Business Opportunities website and the SPAWAR e-Commerce Central website, with two proposals received and recommended for award. The Space and Naval Warfare Systems Center Pacific, Calif., is the contracting activity (N66001-13-D-0107). Martin Baker Aircraft Co. Ltd., Upper Denham, Near Uxbridge, Middlesex, England, is being awarded a $25,222,844 modification to a previously awarded firm-fixed-price contract (N00019-12-C-0066) to exercise an option for the procurement of 100 Navy aircrew common ejection seats (NACES) for F/A-18 series and EA-18G aircraft for the U.S. Navy and Marine Corps. In addition, this contract provides for the procurement of NACES hardware, equipment, technical data, and production support services for the U.S. Navy, U.S. Marine Corps, the National Aeronautics and Space Administration (NASA) and the government of Finland. Work will be performed in Johnstown, Pa. (60 percent), and Upper Denham, Near Uxbridge, Middlesex, England (40 percent), and is expected to be completed in April 2015. Fiscal 2013 Aircraft Procurement Navy; fiscal 2013 National Guard and Reserve Equipment, Defense; fiscal 2013 Procurement of Ammunition, Navy and Marine Corps; Foreign Military Sales funding; DoD Working Capital funds and NASAfunds in the amount of $25,222,844 will be obligated at time of awarded, $2,907,006 of which will expire at the end of the current fiscal year. This contract combines purchase for the U.S. Navy and Marine Corps ($25,034,076; 99 percent), NASA ($4,389; 0.3 percent) and the government of Finland ($184,379; 0.7 percent) under the FMSProgram. The Naval Air Systems Command, Patuxent River, Md., is the contracting activity (N00019-12-C-0066). Communications & Power LLC, Palo Alto, Calif., is being awarded a $6,903,501 firm-fixed-price, indefinite-delivery/indefinite-quantity contract for evaluations, minor and major repairs and rebuilds of the AN/SPS-49 Klystron Traveling Wave Tubes for U.S. Navy ships. The Klystron Traveling Wave Tube is part of the AN/SPS-49 air search radar that detects and tracks airborne objects within range of the ship board radar. Work will be performed in Palo Alto, Calif., and is expected to be completed by May 2018. Working Capital funds in the amount of $6,903,501 will be obligated at time of award, and contract funds will not expire at the end of the current fiscal year. This contract was not competitively procured in accordance with 10 U.S.C. 2304(c)(1), only one responsible source and no other supplies or services will satisfy agency requirements. Reference FAR 6.302-1. The Naval Surface Warfare Center, Crane, Ind., is the contracting activity (N00164-13-D-GR22). Raytheon Missile Systems Co., Tucson, Arizona is being awarded a cost-plus-award-fee modification (P00038) under contract (HQ0276-11-C-0002). The total not-to-exceed value of this effort is $28,310,153, increasing the total contract value from $660,771,762 to $689,081,915. Under this modification, the contractor will perform activity post-preliminary design review through software release for capability against multiple threats. The work will be performed in Tucson, Ariz., with an expected completion date of Sept. 30, 2015. This effort will be incrementally funded with fiscal 2012 through 2015 Research and Development funds. The modification is a sole-source acquisition. The Missile Defense Agency, Dahlgren, Va., is the contracting activity. Bergin Fruit and Nut Co., Inc., ** St. Paul, Minn., has been awarded a maximum $6,648,184 fixed-price with economic-price-adjustment, indefinite-quantity contract to provide fresh fruit and vegetable support for non-Department of Defense customers in the Minnesota zone. Location of performance is Minnesota with a Nov. 11, 2014 performance completion date. Using service is U.S. Department of Agriculture School and tribal customers. Type of appropriation is fiscal 2013 through fiscal 2014 Defense Working Capital funds. The contracting activity is the Defense Logistics Agency Troop Support, Philadelphia, Pa., (SPM300-13-D-S207). B/E Aerospace, Inc., Consumables Management, Miami, Fla., has been awarded a maximum $6,606,850 firm-fixed-price, indefinite-delivery/ indefinite-quantity with price redetermination contract for various parts for engines, avionics, wheels, and brakes. Location of performance is Florida with a May 5, 2017 performance completion date. Using services are Army, Navy, and Air Force. Type of appropriation is fiscal 2013 Defense Working Capital funds. The contracting activity is the Defense Logistics Agency Aviation, Richmond, Va., (SPM4AX-13-D-9402). Coast Produce Co., Los Angeles, Calif., is being awarded an indefinite-delivery, requirements-type contract to provide fresh fruits and vegetables (FF&V), live potted plants, and ornamental produce for resale at 36 commissary store locations in Defense Commissary Agency’s (DeCA) West Area, considered Area 6. The estimated award amount is $75,098,651. Contractor will deliver FF&V, live potted plants, and ornamental produce to the store locations as needed. The contract is for a two-year base period beginning June 1, 2013 through May 31, 2015. Three one-year option periods are available. If all option periods are exercised, the contract will be completed May 31, 2018. Contract funds will not expire at the end of the current fiscal year. Forty-two firms were solicited and seven offers were received. The contracting activity is the Defense Commissary Agency, Resale Contracting Directorate, Commodities Division, Fort Lee, Va., (HDEC02-13-D-0012). Military Produce Group LLC., Norfolk, Va., is being awarded an indefinite-delivery, requirements-type contract to provide fresh fruits and vegetables (FF&V), live potted plants, and ornamental produce for resale at 42 commissary store locations in DeCA’s East and Central Areas, considered Area 3, Group 1 and 2. The estimated award amount is $52,026,419. Contractor will deliver FF&V, live potted plants, and ornamental produce to the store locations as needed. The contract is for a two-year base period beginning June 1, 2013 through May 31, 2015. Three one-year option periods are available. If all option periods are exercised, the contract will be completed May 31, 2018. Contract funds will not expire at the end of the current fiscal year. Seventeen firms were solicited and seven offers were received. The contracting activity is the Defense Commissary Agency, Resale Contracting Directorate, Commodities Division, Fort Lee, Va., (HDEC02-13-D-0011). BAE Systems Norfolk Ship Repair, Norfolk, Va., is being awarded a $48,628,316 modification to previously awarded contract (N00024-10-C-4308) for the USS Laboon (DDG 58) fiscal 2013 extended drydocking selected restricted availability. An extended drydocking selected restricted availability includes the planning and execution of depot-level maintenance, alterations, and modifications that will update and improve the ship’s military and technical capabilities. Work will be performed in Norfolk, Va., and is expected to be completed by December 2013. Fiscal 2013 Operations & Maintenance, Navy and Fiscal 2013 Other Procurement, Navy contract funds in the amount of $46,915,363 will be obligated at time of award, and will expire at the end of the current fiscal year. Norfolk Ship Support Activity, Norfolk, Va., is the contracting activity. Epsilon Systems Solutions, Mission Solutions Group, Inc., San Diego, Calif., is being awarded a $21,649,304 cost-plus-fixed-fee, indefinite-delivery/indefinite-quantity contract for technical services for environmental resources projects in support of the Naval Air Warfare Center Weapons Division Range Department. Work will be performed in China Lake, Calif. (65 percent); San Nicolas Island, Calif. (25 percent), and Patuxent River, Md. (10 percent), and is expected to be completed in May 2018. Fiscal 2013 Research, Development, Test & Evaluation Navy contract funds in the amount of $24,907 will be obligated at time of award, none of which will expire at the end of the current fiscal year. This contract was competitively procured via an electronic request for proposals; 13 companies were solicited and three offers were received. The Naval Air Warfare Center Weapons Division, China Lake, Calif., is the contracting activity (N68936-13-D-0015). Lockheed Martin Mission Systems and Training, Moorestown, N.J., is being awarded a $17,656,225 cost-plus-fixed-fee contract to provide training material, development and maintenance, instructor services, program management, administration and training systems in support of the Center for Surface Combat Systems. This contract involves Foreign Military Sales (FMS) to Norway (81 percent) and South Korea (19 percent). Work will be performed in Dahlgren, Va. (50 percent), and Moorestown, N.J. (50 percent), and is expected to be completed by December 2015. FMS funding in the amount of $2,050,000 will be obligated at time of award, and funds will not expire at the end of the current fiscal year. This contract was not competitively procured in accordance with FAR 6.302-4, DFARS 206.302-4, and pursuant to 10 U.S.C. 2304 (c)(4), full and open competition need not be provided for when precluded by terms of an international agreement. 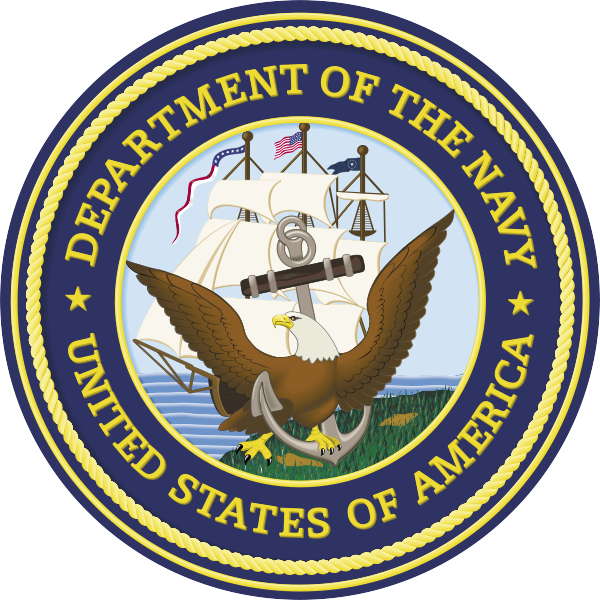 The Naval Surface Warfare Center, Dahlgren Division is the contracting activity (N00178-13-C-1022). 3 Phoenix Inc.*, Chantilly, Va., is being awarded an $8,767,580 cost-plus-fixed-fee contract for engineering services to support software development, procurement of commercial off-the-shelf products, and hardware/software integration required to provide improved technology for U.S. Navy open architecture and network-centric operations and warfare systems in support of Virginia-class submarines and other submarine and surface ship systems. This effort is for a follow-on Phase III of a Small Business Innovative Research, topic number N04-138 — Real-time Data Fusion and Visualization Interface for Environmental Research Data. These services will be rendered as needed to support the Navy’s initiative to maintain the pace of performance improvement through judicious use of lower power electronics, advanced algorithm design, and innovative applications of open software and hardware. This contract includes options which, if exercised, would bring the cumulative value of this contract to $75,000,000. Work will be performed in Chantilly, Va. (40 percent); Wake Forest, N.C. (40 percent); and Hanover, Md. (20 percent), and is expected to be completed by May 2018. Fiscal 2013 Research, Development, Test & Evaluation funding in the amount of $125,000 will be obligated at time of award. Contract funds will not expire at the end of the current fiscal year. The contract was not competitively procured under the authority of 10 U.S.C. 2304(c)(5), Authorized or Required by Statue 15 U.S.C. 638 (r) Aid to Small Business. The Naval Sea Systems command, Washington, D.C., is the contracting activity (N00024-13-C-6264). International Marine and Industrial Applicators LLC., Bremerton, Wash., is being awarded a $7,890,589 modification to previously awarded indefinite-delivery/indefinite-quantity contract (N4523A-12-D-0003) for the procurement of long-lead-time material for the preservation of U.S. Navy ships. Delivery Order #0005 is being executed under contract line item number 0001 for planning and execution of preservation work for U.S. Navy carriers, submarines and surface ships. The purpose of the contract is to provide preservation efforts in support of the maintenance and modernization so as to maximize vessel readiness. Work will be performed in Bremerton, Wash., and is expected to be completed by June 2014. Fiscal 2013 Operations & Maintenance, Navy funding in the amount of $7,890,589 will be obligated at time of award, and will expire at the end of the current fiscal year. Puget Sound Naval Shipyard and Intermediate Maintenance Facility, Bremerton, Wash., is the contracting activity. Thornhill Research Inc., Toronto, Ontario, is being awarded $7,756,896 for delivery order #0002 to previously awarded firm-fixed-price, indefinite-delivery/indefinite-quantity contract (M67854-13-D-5003) for 68 Portable Patient Transport Life Support Systems and field level maintenance spare parts in support of the Program Manager Combat Support Systems. All work is to be performed in Toronto, Ontario, and is expected to be completed by Feb. 28, 2014. Fiscal 2012 Procurement, Marine Corps contract funds in the amount of $7,756,896 will be obligated at time of award and will not expire at the end of this this fiscal year. This delivery order is issued against a previously awarded contract solicited through full and open competition, with two offers received. The Marine Corps Systems Command, Quantico, Va., is the contracting activity. MK Joint Venture (FA8501-13-D-0006), Colorado Springs, Colo.; Patriot Comm, (FA8501-13-D-0007) Woodbridge, Va., and Contract and Purchasing Solutions Inc. (FA8501-13-D-0008), Lake Park, Ga. are being awarded a $45,000,000 indefinite-delivery/indefinite-quantity contract for design-build and/or construction-only type projects. Work will be performed at Robins Air Force Base, Ga., with a base 12-month period and four 12-month option periods. No funds are being obligated at time of award but will be obligated on future individual orders with operations and maintenance funds. This award is a result of a service disabled veteran owned small business competitive set-aside with 18 offers received. All awarded companies met the service disabled veteran owned small business requirements. Air Force Sustainment Center contracting office, Robins Air Force Base, Ga., is the contracting activity. Genco Infrastructures Solutions Inc., Pittsburgh, Pa., has been awarded a maximum $9,773,739 fixed-price-incentive-firm, cost-reimbursement contract to provide non-government furnished warehousing and distribution support services. Location of performance is Pennsylvania and Bahrain, Southwest Asia, with a June 1, 2014 performance completion date. Using service is Defense Logistics Agency Distribution. Type of appropriation is fiscal year 2013 through fiscal year 2017 Defense Working Capital funds. The contracting activity is the Defense Logistics Agency Distribution, New Cumberland, Pa. (SP3300-13-C-5002). Petromax LLC. *, Bay City, Texas, has been awarded a maximum $8,036,875 modification (P00004) exercising the remainder of the first option year of a one year base contract (SP0600-12-D-0461) with one one-year option period for fuel. The modification is a fixed-price with an economic-price-adjustment, indefinite-delivery/indefinite-quantity contract. Location of performance is Texas, with a Nov. 30, 2013 performance completion date. Using service is Israel. Type of appropriation is fiscal year 2013 Foreign Military Sales funding. The contracting activity is the Defense Logistics Agency Energy, Fort Belvoir, Va.
Correction–No. 284-13, April 30: Lockheed Martin Aeronautics Corp., Fort Worth, Texas, contract modification for $830,000,000 (FA8615-12-C-6012 P00008) should have read-work will be performed in Fort Worth, with an expected completion date of December 2018. AMEC Environment and Infrastructure Inc., Plymouth Meeting, Pa. (N33191-13-D-0838); ECC-MEZZ, Joint Venture, Burlingame, Calif. (N33191-13-D-0839); ITSI Gilbane Co., Walnut Creek, Calif. (N33191-13-D-0840); Joint Venture SKE Djibouti, Karlstadt, Germany (N33191-13-D-0841); Lakeshore TolTest Corp., Detroit, Mich. (N33191-13-D-0842); and P&S Construction Inc., North Chelmsford, Mass. (N33191-13-D-0843), are each being awarded an indefinite-delivery/indefinite-quantity multiple award design-build construction contract for construction projects located primarily at Camp Lemonnier Djibouti (CLDJ), and within the Naval Facilities Engineering Command (NAVFAC) Europe, Africa, Southwest Asia (EURAFSWA) area of responsibility (AOR). The maximum dollar value including the base period and four option years for all six contracts combined is $75,000,000. These six contractors may compete for task orders under the terms and conditions of the awarded contract. P&S Construction Inc., is being awarded task order #0001 at $15,187,000 for the construction of a new telecommunication facility to replace existing building and construction of an aircraft maintenance hangar at CLDJ, Africa. Work for this task order is expected to be completed by March 2015. All work on this contract will be performed in the NAVFAC EURAFSWA AOR, which includes Africa (97 percent), Bahrain (1 percent), Italy (1 percent), and Greece (1 percent). The term of the contract is not to exceed 60 months, with an expected completion date of April 2018. Fiscal 2013 Operation and Maintenance, Navy and Fiscal 2009 Military Construction, Navy contract funds in the amount of $15,312,000 are obligated on this award and will expire at the end of the current fiscal year. This contract was competitively procured via the Navy Electronic Commerce Online website, with 28 proposals received. The Naval Facilities Engineering Command, Europe, Africa, Southwest Asia is the contracting activity. Moog Inc., Torrance, Calif., is being awarded a $39,742,239 firm-fixed-price requirements contract to provide for repair coverage of seven items required to support the F/A-18 aircraft. The work will be performed in Torrance Calif., and work is expected to be completed by Nov. 4, 2015. Navy Working Capital funds will not be obligated at the time of award, and will not expire at the end of the current fiscal year. This contract was solicited on a sole source basis in accordance with 10 U.S.C. 2304(c)(1). Naval Supply Weapon Systems Support, Philadelphia, Pa., is the contracting activity (N00383-13-D-016D). Lockheed Martin Corp., Lockheed Martin Aeronautics Co., Fort Worth, Texas, is being awarded a $20,100,000 fixed-price-incentive, firm-target, advance acquisition contract to provide long lead parts, materials and components required for the delivery for two low rate initial production Lot II F-35 Lightning II Joint Strike Fighter conventional takeoff and landing aircraft for the government of Israel. Work will be performed in Fort Worth, Texas, and is expected to be completed in May 2014. Foreign Military Sales funding in the amount of $20,100,000 are being obligated on this award, none of which will expire at the end of the current fiscal year. This contract was not competitively procured pursuant to the FAR 6.302-4. The Naval Air Systems Command, Patuxent River, Md., is the contracting authority (N00019-13-C-0013). HDT Expeditionary Systems Inc., Buena Vista, Va., is being awarded a $12,519,864 modification to delivery order #0001 on previously awarded contract number (M67854-13-D-5034) for the arctic shelter system. This delivery order modification is to support the product manager, combat support equipment, program manager combat support systems, for the fielding and sustainment of the arctic shelter system and associated contractor travel for training support. Work will be performed in Buena Vista, Va. (99.89 percent) and Okinawa, Japan (0.11 percent), and is expected to be completed by May 31, 2014. Fiscal 2013 Operations and Maintenance Overseas Contingency Overseas contract funds in the amount of $12,519,864 will be obligated at the time of award, and will expire at the end of the current fiscal year. The Marine Corps Systems Command, Quantico, Va., is the contracting activity. Concurrent Technologies Corp., Johnstown, Pa., is being awarded an $8,359,958 modification to previously awarded indefinite-delivery/indefinite-quantity contract (N61331-09-D-0004) to provide additional engineering and fabrication services in support of the ongoing development and testing for the carriage, stream, tow and recovery system. Work will be performed in Johnstown, Pa., and is expected to be completed by February 2015. No funding will be obligated at time of award. Contract funds will not expire at the end of the current fiscal year. The Naval Surface Warfare Center Panama City Division, Panama City, Fla., is the contracting activity. Northrup Grumman, Bethpage, N.Y. is being awarded $7,000,000 for ceiling-priced delivery order #7168 under a previously awarded basic ordering agreement (N00383-12-G-034G) for the repair of 13 line items on the advanced electronic attack system used on the EA-18G Growler aircraft. Work will be performed in Elkridge, Md., and is expected to be completed by May 2, 2015. Fiscal 2013 Navy Working Capital funds in the amount of $3,516,000 be obligated at the time of award, and will not expire at the end of the current fiscal year. This contract was not competitively procured in accordance with10 U.S.C. 2304 (c)(1). The Naval Supply Systems Command Weapon Systems Support, Philadelphia, Pa., is the contracting activity (N00383-12-G-034G). Charleston Aluminum LLC. *, Gaston, S.C., has been awarded a maximum $49,429,000 modification (P00013) exercising the second option year of a two-year base contract (SPM8E5-10-D-0012) with three one-year option periods for heat-treated aluminum sheet and plate materials. The modification is a fixed-price with economic-price-adjustment, indefinite-delivery/indefinite-quantity contract. Location of performance is South Carolina, with a May 31, 2014 performance completion date. Using military services are Army, Navy, Air Force, Marine Corps, and federal civilian agencies. Type of appropriation is fiscal 2013 Defense Working Capital funds. The contracting activity is the Defense Logistics Agency Troop Support, Philadelphia, Pa.
AMI Metals Inc., Brentwood, Tenn., has been awarded a maximum $48,913,000 modification (P00014) exercising the second option year of a two-year base contract (SPM8E5-10-D-0011) with three one-year option periods for heat-treated aluminum sheet and plate materials. The modification is a fixed-price with economic-price-adjustment, indefinite-delivery/indefinite-quantity contract. Location of performance is Tennessee, with a May 31, 2014 performance completion date. Using military services are Army, Navy, Air Force, Marine Corps, and federal civilian agencies. Type of appropriation is fiscal 2013 Defense Working Capital funds. The contracting activity is the Defense Logistics Agency Troop Support, Philadelphia, Pa.
TW Metals, Carol Stream, Ill., has been awarded a maximum $41,266,000 modification (P00027) exercising the second option year of a two-year base contract (SPM8E5-10-D-0010) with three one-year option periods for heat-treated aluminum sheet and plate materials. The modification is a fixed-price with economic-price-adjustment, indefinite-delivery/indefinite-quantity contract. Location of performance is Illinois, with a May 31, 2014 performance completion date. Using military services are Army, Navy, Air Force, Marine Corps, and federal civilian agencies. Type of appropriation is fiscal 2013 Defense Working Capital funds. The contracting activity is the Defense Logistics Agency Troop Support, Philadelphia, Pa.
Signature Flight Support Corp., Savannah, Ga., has been awarded a maximum $23,179,656 fixed-price with economic-price-adjustment contract for fuel. Location of performance is Savannah Hilton Head International Airport, Savannah Ga., with a March 31, 2017 performance completion date. Using military services are Army, Navy, Air Force, Marine Corps, and federal civilian agencies. Type of appropriation is fiscal 2013 through fiscal 2017 Defense Working Capital funds. The contracting activity is the Defense Logistics Agency Energy, Fort Belvoir, Va. (SP0600-13-D-0038). Avfuel Corp.*, Ann Arbor, Mich., has been awarded a maximum $7,892,059 fixed-price with economic-price-adjustment contract for fuel. Location of performance is Michigan and Miami International Airport, Miami, Fla., with a March 31, 2017 performance completion date. Using military services are Army, Navy, Air Force, Marine Corps, and federal civilian agencies. Type of appropriation is fiscal 2013 through fiscal 2017 Defense Working Capital funds. The contracting activity is the Defense Logistics Agency Energy, Fort Belvoir, Va. (SP0600-13-D-00395). FlightSafety Services Corp., Centennial, Colo., was awarded a $78,369,818 fixed-price-incentive-firm and firm-fixed-price contract for engineering, manufacturing and development of the KC-46 aircrew training system, including delivery of courseware and simulator-based training systems. The initial obligation will be $1,000,000. The remaining amount will be incrementally funded. This contract contains options for production, training, operations and sustainment that if exercised will increase the value of the contract. Work will be performed at Broken Arrow, Okla., and St. Louis, Mo., and is expected to be completed by 2026 if all options are exercised. This award is the result of a competitive acquisition and five offers were received. Type of appropriation is fiscal 2012. The contracting activity is Simulators Division Contracting, Air Force Life Cycle Management Center/WNSK (FA8621-13-C-6247). SRI International, Menlo Park, Calif., has been awarded a maximum $32,509,814 requirements-type, cost-reimbursement contract with a three year base and two one- year option periods for the generalized emulation of microcircuits production program for Federal Supply Class 5962 providing full-scale production of micro-electronic devices that meet the form, fit, function, and interface of original devices that have become obsolete. The award is a result of a sole source acquisition. Locations of performance are California and New Jersey, with an April 29, 2016 performance completion date. Using military services are Army, Navy, Air Force and Marine Corps. Type of appropriation is fiscal year 2013 Operation and Maintenance Price Comparability. The contracting activity is the Defense Logistics Agency Land and Maritime, Columbus, Ohio; SPM7MX-13-D-0081. General Dynamics Advanced Information Systems (GDAIS), Bloomington, Minn., is being awarded a $31,469,985 five-year performance based logistics requirements contract to provide support for six mission computers that are used on F/A 18 E/F, EA-18G, and AV-8B aircraft. These items are considered mission critical to operations of these aircraft. The work will be performed in Bloomington, Minn., and work is expected to be completed by April 2018. Fiscal 2013 Navy Working Capital funds in the amount of $2,855,007 will be obligated at the time of award, and will not expire by the end of the current fiscal year. This is an urgent requirement and only GDAIS was solicited in accordance with 10 U.S.C. 2304 (c)(1), as implemented by FAR 6.302-1. The Naval Supply Weapon Systems Support, Philadelphia, Pa., is the contracting activity (N00383-13-D-051G). Global, A 1st Flagship Co., Irvine, Calif., is being awarded a $6,958,433 cost-plus-fixed-fee, indefinite-delivery/indefinite-quantity contract to provide services, day-to-day operational support, administration, operation, alteration and maintenance/repair of vessels assigned to Naval Sea Systems Command Inactive Ship On-Site Maintenance Office Pearl Harbor, Hawaii. This includes receipt, inspection, survey, maintenance, and disposal of naval vessels. The contract contains four options, which if exercised, will bring the contract value to $32,423,737. Work will be performed in Pearl Harbor, Hawaii (95 percent) and San Diego, Calif., (5 percent), and is expected to be completed May 31, 2014. If all options are exercised, work will continue through May 31, 2018. Fiscal year 2013 and 2014 Navy Operations and Maintenance in the amount of $6,958,433 funding, will be obligated at the time of the award, of which $2,319,477 will expire before the end of the current fiscal year. The contract was competitively procured through Federal Business Opportunities as 100 percent small business set aside, with five offers received in response to the solicitation. NAVSUP Fleet Logistics Center, Norfolk, Contracting Dept., Philadelphia Office, Philadelphia, Pa., is the contracting activity. Target Construction Inc., Henderson, Nev., was awarded a firm-fixed-price contract with a maximum value of $41,560,092 for construction services in support of the Hurricane Protection System. Work will be performed in Belle Chasse, La. Fiscal 2013 procurement contract funds are being obligated on this award. The bid was solicited through the Internet, with 14 bids received. The Army Corps of Engineers, New Orleans, La., is the contracting activity (W912P8-13-C-0024). Lee & Ryan Environmental Consulting Inc., Greenfield, Ind., (W912QR-13-D-0024); Northview Enterprises Inc., Louisville, Ky., (W912QR-13-D-0025); Crossroads-Sergent Construction JV, Owingsville, Ky., (W912QR-13-D-0026); Semper Tek Inc., Lexington, Ky., (W912QR-13-D-0027); and VSGI-Patrick JV, Oakbrook Terrace, Ill., (W912QR-13-D-0028); were awarded a multiple-award-task-order, firm-fixed-price contract with a maximum value of $20,000,000 for construction and service projects military and civil programs. Work will be performed within the Army Corps of Engineers, Louisville District, mission area. Type of appropriation will be determined with each order. The bid was solicited through the Internet, with 19 bids received. The Army Corps of Engineers, Louisville, Ky., is the contracting activity. Louisiana Workforce Commission, Baton Rouge, La., was awarded a $9,581,060 modification (No. P00005), to a previously awarded firm-fixed-price contract (W9124E-12-D-0002), for food services to training units at Fort Polk, La. Type of appropriation will be determined with each order. The Army Contracting Command, Fort Polk, La., is the contracting activity. TRAX International Corp., Las Vegas, Nev., was awarded a $9,333,333 modification (No. P00099), to a previously awarded cost-plus-award-fee contract (W9124R-09-C-0003), for test services in support of the Army Yuma Proving Ground, Ariz. Work will be performed in Yuma, Ariz., and Fort Greely, Alaska. Fiscal 2013 Research, Development, Test and Evaluation contract funds are being obligated on this award. The Army Contracting Command, Yuma, Ariz., is the contracting activity. JCB Inc., Pooler, Ga., was awarded a firm-fixed-price contract with a maximum value of $8,739,876 for logistic services and spare parts in support of the High Mobility Engineer Excavator. Work location and type of appropriation will be determined with each order. The bid was solicited through the Internet, with one bid received. The Army Contracting Command, Warren, Mich., is the contracting activity (W56HZV-13-D-0096). Booz Allen Hamilton, McLean, Va., is being awarded an estimated $65,560,655 indefinite-delivery/indefinite-quantity, cost-plus-fixed-fee contract to support the Defense Readiness Support System-Navy to include: systems engineering, integration, test and evaluation, and lifecycle support; technical support services required to augment readiness programs and projects; and market research of commercial and/or military hardware or software for use within readiness reporting and management or associated interface programs and other integrated systems and equipment. Work will be performed in Norfolk, Va., (53 percent) and McLean, Va., (47 percent) and work is expected to be completed April 29, 2016. This is a multiple-award contract and one of two contracts awarded: both awardees will compete for task orders during the ordering period. Operations & Maintenance Navy funds will be obligated against individual task orders as they are issued. Contract funds will not expire at the end of the current fiscal year. This contract was competitively procured via full and open solicitation via publication on the Federal Business Opportunities website and the Space and Naval Warfare Systems Center e-Commerce Central website, with three proposals received and two selected for award. The Space and Naval Warfare Systems Center Pacific, San Diego, Calif., is the contracting activity (N66001-13-D-0045). InnovaSystems International, LLC, San Diego, Calif., is being awarded an estimated $58,704,051 indefinite-delivery/indefinite-quantity, cost-plus-fixed-fee contract to support the Defense Readiness Support System-Navy to include: systems engineering, integration, test and evaluation, and lifecycle support; technical support services required to augment readiness programs and projects; and market research of commercial and/or military hardware or software for use within readiness reporting and management or associated interface programs and other integrated systems and equipment. Work will be performed in Norfolk, Va., (53 percent) and San Diego, Calif., (47 percent) and work is expected to be completed April 29, 2016. This is a multiple award contract and two contracts awarded: both awardees will compete for task orders during the ordering period. Operations & Maintenance Navy funds will be obligated against individual task orders as they are issued. Contract funds will not expire at the end of the current fiscal year. This contract was competitively procured via full and open solicitation via publication on the Federal Business Opportunities website and the Space and Naval Warfare Systems Center e-Commerce Central website, with three proposals received and two selected for award. The Space and Naval Warfare Systems Center Pacific, San Diego, Calif., is the contracting activity (N66001-13-D-0044). BAE Systems Norfolk Ship Repair, Norfolk, Va., is being awarded a $49,435,634 firm-fixed-price contract for the fiscal 2013, USS Porter (DDG 78) extended dry-docking selected restricted availability. The contract includes options which, if exercised, would bring the cumulative value of this contract to $61,289,100. All work will be performed in Norfolk, Va., and is expected to be completed by April 2014. Fiscal 2013 Operations & Maintenance, Navy funds and fiscal 2013 Research, Development, Test & Evaluation funding in the amount of $49,435,634 will be obligated at time of award. Contract funds in the amount of $44,509,472 will expire at the end of the current fiscal year. This contract was competitively procured via the Federal Business Opportunities website, with two proposals received. The Naval Sea Systems Command, Washington, D.C., is the contracting activity (N00024-13-C-4400). Softchoice Corp., McLean, Va., is being awarded $17,502,052 for delivery order (#0015) against a single award Blanket Purchase Agreement (M67854-12-A-4701) to procure Microsoft brand name software support known as Software Assurance. Work will be performed in Mclean, Va., and work is expected to be completed May 31, 2014. Fiscal 2013 Operation and Maintenance contract funds in the amount of $17,502,052 will be obligated at the time of award, and will expire at the end of the current fiscal year. The Marine Corps System Command, Quantico, Va., is the contracting activity. Rolls Royce, plc, Bristol, England is being awarded $8,081,795 for firm-fixed-priced delivery order (#5003) under a previously awarded basic ordering agreement (N00383-13-G-002M) for the procurement of 4,280 each High Pressure Turbine Blades (HPT1) used in support of the F402 engine for the AV-8B aircraft. Work will be performed at Rolls Royce, plc, Bristol, England and work is expected to be completed by Sept. 20, 2014. Fiscal 2013 Navy Working Capital funds in the amount of $8,081,795 will be obligated at the time of award, and will not expire at the end of the current fiscal year. There was one firm solicited and one offer received in response to this solicitation, in accordance with FARS 6.302-1. NAVSUP Weapon Systems Support, Philadelphia, Pa., is the contracting activity. Lockheed Martin Aeronautics Corp., Fort Worth, Texas, is being awarded an $830,000,000 firm-fixed-price, cost-plus-fixed-fee modification (P00008 ) to contract FA8615-12-C-6012 for additional production of 18 Iraq F-16 aircraft and associated support equipment, technical orders, integrated logistics support, contractor logistics support and an electronic warfare system. Work will be performed in Fort Worth with an expected completion date of April 30, 2014. This contract modification is foreign military sales with $406,700,000 obligated at time of award. This contract was a sole-source acquisition. The Air Force Life Cycle Management Center/WWMK at Wright-Patterson Air Force Base, Ohio is the contracting activity. Logos Technologies, Inc., Arlington, Va., was awarded a ceiling $49,750,000 indefinite-delivery/indefinite-quantity, cost-plus-fixed-fee contract to develop and evolve enhanced and advanced techniques and capabilities for efficient collection, advance analytics and analysis of multiple sources of large data stores. Work will be performed in Arlington, and expected to be completed in April 2018. The award is a result of a competitive acquisition with one offer received. Fiscal 2013 through fiscal 2015 Research, Development, Test and Evaluation funds in the amount of $50,000 will be obligated at time of award. Air Force Research Laboratory/RIKE, Rome, N.Y., is the contracting activity (FA8750-13-D-0044). Boeing Defense, Space & Security, St. Louis, Mo., has been awarded a $13,650,000 firm-fixed-price, cost-plus-fixed-fee contract (FA8505-13-C-0005) for F-15 C/D computerized fault reporting system (CFRS) and aircraft maintenance debriefing system (AMDS). The contract action is for a three-year base with two one-year options. Services to be provided include, but are not limited to, providing fully-trained personnel to operate and maintain CFRS and AMDS equipment, and to provide CFRS familiarization training to Royal Saudi Air Force members. Work will be performed in Saudi Arabia and is expected to run through May 4, 2018 if all options are exercised. This contract involves Foreign Military Sales (FMS). FMS funds in the amount of $7,724,324 are being obligated at time of award. Air Force Life Cycle Management Center/ WWKA, Robins Air Force Base, Ga., is the contracting activity. Relief Enterprises, Inc., Austin, Texas, was awarded a $7,604,312 firm-fixed-price contract for installation-wide custodial services for Joint Base San Antonio (JBSA), Fort Sam Houston, Texas. Work will be performed at JBSA and is expected to be complete by Dec. 31, 2014. The award is a result of a sole-source acquisition. 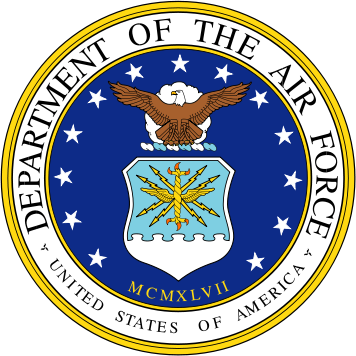 Fiscal 2013 Air Force Operations and Maintenance funds in the amount of $684,684 will be obligated at time of award. The 502d contracting squadron, Fort Sam Houston, Texas, is the contracting activity (FA3016-13-F-0009). Creighton AB, Inc.,* Reidsville, N.C., has been awarded a maximum $40,000,000 contract for men’s Air Force lightweight jackets. The award is a firm-fixed-price, indefinite-delivery/indefinite-quantity contract. Locations of performance are North Carolina and New York with an April 30, 2014 performance completion date. Using military service is Air Force. Type of appropriation is fiscal 2013 Defense Working Capital funds. The Defense Logistics Agency Troop Support, Philadelphia, Pa., is the contracting activity (SPE1C1-13-D-1011). SRI International, Menlo Park, Calif., has been awarded a maximum $32,509,814 requirements type contract with a three year base and two one-year option periods for the Generalized Emulation of Microcircuits Production program for Federal Supply Class 5962 providing full-scale production of micro-electronic devices that meet the form, fit, function, and interface of original devices that have become obsolete. The award is a sole-source, cost-reimbursement contract. Locations of performance are California and New Jersey with an April 29, 2016 performance completion date. Using military services are Army, Navy, Air Force and Marine Corps. Type of appropriation is fiscal 2013 Operation and Maintenance price comparability. The Defense Logistics Agency Land and Maritime, Columbus, Ohio, is the contracting activity (SPM7MX-13-D-0081). United Technologies Corp., doing business as Pratt & Whitney, East Hartford, Conn., has been awarded a maximum $7,867,420 contract for aircraft engine turbine disk replenishment spares. The award is a firm-fixed-price, sole-source contract. Location of performance is Connecticut with a Jan. 29, 2016 performance completion date. Using military service is Air Force. Type of appropriation is fiscal 2013 Defense Working Capital funds. The Defense Logistics Agency Aviation, Oklahoma City, Okla., is the contracting activity (N00383-12-G-001M-UN36). Twigg Corp.,* Martinsville, Ind., has been awarded a maximum $6,686,824 contract with a one year base and four one-year option periods for compressor vane assemblies within aircraft gas turbines and jet engines. The award is a firm-fixed-price, indefinite-quantity contract. Location of performance is Indiana with an April 29, 2014 performance completion date. Using military service is Air Force. Type of appropriation is fiscal 2013 Defense Working Capital funds. 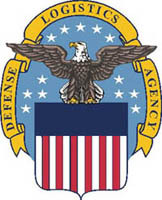 The Defense Logistics Agency Aviation, Richmond, Va., is the contracting activity (SPM4A7-13-D-0030). Fisher Scientific Co., LLC, Pittsburgh, Pa., has been awarded a maximum $233,598,349 modification (P00009) exercising the fourth option year of a base contract (SPM2DE-09-D-7340) with four one-year option periods for selection of distributor to make available laboratory supplies and wares using the Laboratory Electronic Catalog program. The modification is a fixed-price with economic-price-adjustment contract. Location of performance is Pennsylvania with a May 3, 2014 performance completion date. Using military services are Army, Navy, Air Force, Marine Corps, and federal civilian agencies. Type of appropriation is fiscal 2012 Defense Working Capital funds. The contracting activity is the Defense Logistics Agency Troop Support, Philadelphia, Pa. US Foods, Inc., Oklahoma Division, Oklahoma City, Okla., has been awarded a maximum $28,442,792 modification (P00201) exercising the second option year of a two year base contract (SPM300-09-D-3272) with two eighteen-month option periods and one twelve-month option period for full line food distributor for the Texas and Oklahoma area. The modification is a firm-fixed-price, indefinite-quantity contract. Location of performance is Oklahoma with a May 11, 2014 performance completion date. Using military services are Army and Air Force. Type of appropriation is fiscal 2013 through fiscal 2014 Defense Working Capital funds. The contracting activity is the Defense Logistics Agency Troop Support, Philadelphia, Pa.
United Technologies Corp., doing business as Pratt & Whitney, East Hartford, Conn., has been awarded a maximum $8,836,542 firm-fixed-price contract for replenishment spares. Location of performance is Connecticut with a Nov. 30, 2016, performance completion date. Using military service is Air Force. Type of appropriation is fiscal 2013 Defense Working Capital funds. The contracting activity is the Defense Logistics Agency Aviation, Oklahoma City, Okla., (N00383-12-G-001M-UN38). The Boeing Co., Seattle, Wash., is being awarded a $21,459,925 modification to a previously awarded firm-fixed-price contract (N00019-09-C-0022) for the upgrade of the Training System Support Center in support of the Low Rate Initial Production Lot III, P-8A Multi-Mission Maritime aircraft. This modification also includes the procurement for the tooling and data for the Weapons Tactics Trainer. Work will be performed in St. Louis, Mo., and is expected to be completed in August 2016. Fiscal 2011 Aircraft Procurement Navy and Fiscal 2013 Research, Development, Test & Evaluation, Navy contract funds in the amount of $21,459,925 are being obligated on this award, of which $21,055,883 will expire at the end of the current fiscal year. The Naval Air System Command, Patuxent River, Md., is the contracting activity. Oshkosh Defense, Oshkosh, Wis., is being awarded $7,951,288 for fixed-price delivery order #0032 under a previously awarded indefinite-delivery/indefinite-quantity contract (M67854-12-D-0209) to purchase 32 fiscal 2014 Medium Tactical Vehicle Replacement variants, camouflage paint, and vehicle federal retail excise tax. Work will be performed in Oshkosh, Wis., and is expected to be completed by Sept. 30, 2014. Fiscal 2013 Procurement Marine Corps, Overseas Contingency Operation contract funds in the amount of $7,951,288 will be obligated at the time of award, and will not expire at the end of the current fiscal year. The Marine Corps System Command, Quantico, Va., is the contracting activity. AMENDED: The indefinite-delivery/indefinite-quantity with provision to issue firm-fixed-price and cost-plus-fixed-fee task orders, multiple-award contract announced on Apr. 12, 2013 for advisory and assistance services in support of the Air Force civil engineer mission is amended to add the following company as an awardee: Environmental Synectics, Inc., Sacramento, Calif., (FA8903-13-D-0007). An amount of $3,000 will be obligated on task order 0001.